Rohit Talwar, Steve Wells and Alexandra Whittington of Fast Future explore leadership challenges of AI in the workplace. Technological changes are defining the world of 21st-century business. They are also prompting questions about the future of work and how we can navigate to the ‘next horizon’. How businesses respond to these challenges and exploit the benefits of smart technologies, such as artificial intelligence (AI), will be a key contributor to success going forward. Roles that have been traditionally thought of as requiring a high-level human intellect are now being automated – thanks to AI. Whilst this undoubtedly boosts efficiency, decision makers must be mindful of how this may impact brand identity and user experience. This is why it’s essential to focus on the human dimension. Which areas will still require human involvement? How will staff respond when their jobs are changed or eliminated? How will we mitigate worries or stress that AI may cause? What new skills might employees need? What responsibilities do employers have for those displaced by technology? Deep or Narrow AI? AI can be used narrowly to automate a single task or apply rule based thinking to a process or outcome, or it may be used to automate entire departments e.g. customer service. How deep to take AI will depend on the goals, priorities, resources, and values of the firm and where it sees the place of humans in service, innovation and sales. Who has responsibility? It may be natural to think that the IT department should lead the way. However, the increasingly strategic nature of the decisions embedded in the choice to deploy AI is more in the realm of the COO, CEO or heads of department. What about the people? There is a growing risk that firms will become over-reliant on technology and ignore the value of humans. Smart technology will increasingly replace even complex roles; however, it will be some time before it can outperform humans in problem-solving, creativity, negotiation, collaborative design, conflict resolution, and crisis response. We need to think about how to invest in staff to maximize their potential with technology in an enabling role, how to care for those whose roles and departments are being disrupted by AI, and how to raise everyone’s digital literacy so they understand the nature of new technology. What new skills will be needed? As AI becomes commonplace, employees’ soft skills, like sensitivity, creativity, verbal reasoning and communication, empathy and spontaneity may be increasingly desirable. 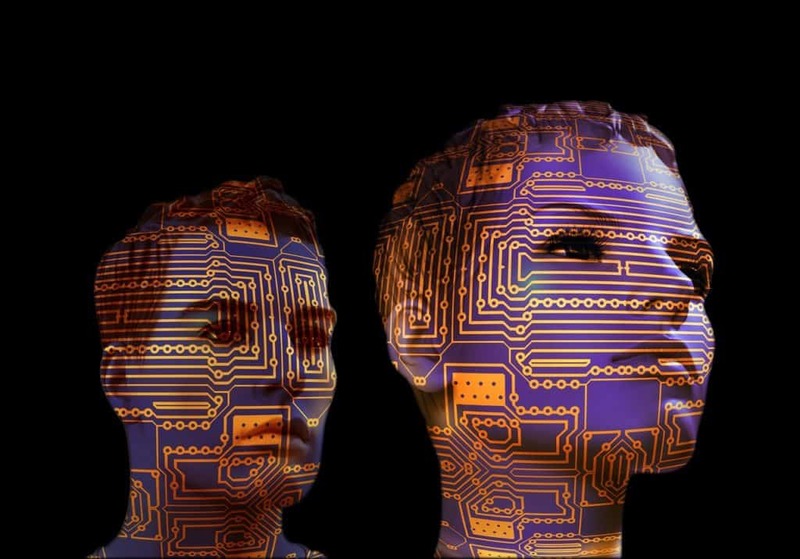 HR or a new Department of Humanity can facilitate this aspect of personal development to ensure that businesses make the most of the interplay between personal and artificial intelligence. How do we strike a balance? Careful decisions about which roles and functions to automate should guide AI strategy in business—a simple “bottom line” approach will compromise the human element and could erode the firm’s uniqueness over time. It will also be important to show compassion and support to employees displaced by new technology. The gifts from AI to society include smarter decision making, the capacity to draw new insights from vast arrays of data, the potential for cost-saving replacement of humans, and efficiency-oriented high-volume applications which are simply beyond human capacity to execute in a meaningful time frame e.g. scanning literally millions of websites in an information search. However, ignoring the impact on employees would be bad internal PR and could have devastating consequences for customer appeal and reputation. Furthermore, the cost of widespread unemployment cannot be carried by the public alone; private industry will almost certainly be expected to contribute to a solution. Ultimately the future of work and the future of society are deeply entwined. Our sense of place in society, our worth, our contribution and our legacy are often predicated around our work. Anything that starts to disrupt that relationship between work and individual identity is going to have far-reaching impacts. On the plus side, humans have proved themselves to be remarkably adaptable. So, while the idea of working side-by-side with a robot may at first be unsettling, a small step back reminds us that we already work and relate with AI and “smart” machines every day. For example, predictive text is a form of AI software to which most smartphone users have adjusted. When sending emails or texts on devices, or running an internet search, we expect, to some extent, that our intention will be perceived. The AI companions that will join us in the workforce will be preoccupied with learning about us to try to make our lives better. Just as the predictive text on your phone doesn’t send runaway messages (usually) and the internet search bar sometimes knows you better than you know yourself, we as a society should anticipate AI’s helpful (if sometimes at first clunky) role in the workplace over the coming decade. Rohit Talwar, Steve Wells and Alexandra Whittington are futurists with Fast Future which specialises in studying and advising on the impacts of emerging change. Fast Future also publishes books from future thinkers around the world exploring how developments such as AI, robotics and disruptive thinking could impact individuals, society and business and create new trillion-dollar sectors. Fast Future has a particular focus on ensuring these advances are harnessed to unleash individual potential and enable a very human future.